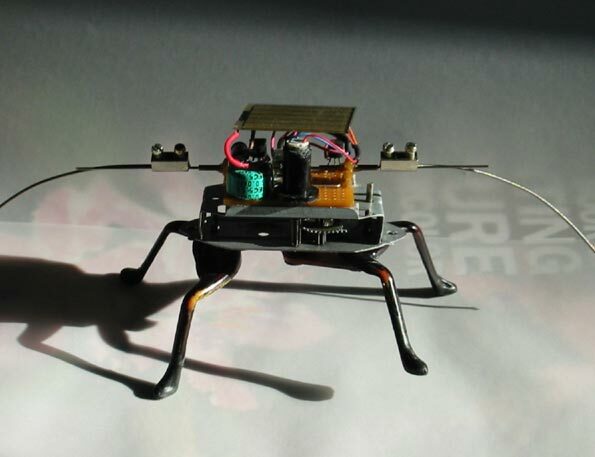 Photo, brief description of a Miller-SE-based critter, using a toy's mechanism as its base; Ambler is on a page shared with Dug's other BEAMbots. 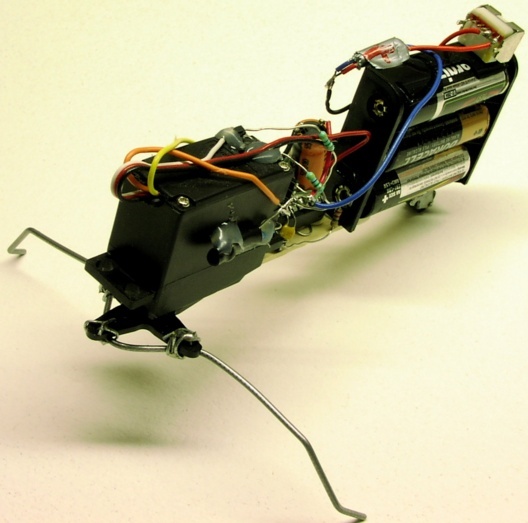 Grainy diagrams of a little walker made with a single floppy disk eject motor. Edited web posting with diagrams & schematics. 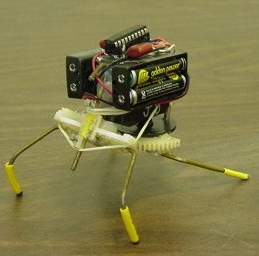 An interesting little crawling walker. Detailed pictures with links to a construction tutorial. Simple web page with 2 images of a walker based on Wilf Rigter's design.